When winter finally turns to spring, we have all found ourselves scrambling to find the perfect tank top to wear while soaking in the sun. We aim to be fashion forward, but ultimately the goal is to stay cool while looking good. 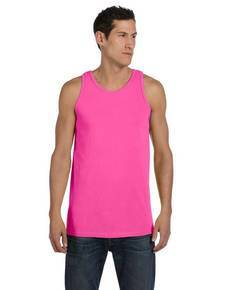 Fortunately, there are countless cotton tank top options available, so you’re in luck! Whether you’re in search of a masculine muscle tank to show of your physique, a trendy fitted ringspun tank for a night out, or a soft cotton rib tank for a day of lounging around, we’ve got you covered. Offered in men’s, women’s, and youth we have something that will make everyone happy. One advantage to wearing cotton is it’s breathability. And when it’s warm outside, we can all agree that’s of the utmost importance! At ShirtSpace, we have a large selection of cotton tank tops to choose from that give you the option of keeping cool while branching out with different styles. Think- v-neck, racerback, flowy, fitted, muscle, and the list goes on and on! Our color palette includes traditional black and white, but turns it up a notch with fun tie dye, neon green, hot pink, sapphire, and many more. So, if you’re looking for a classic look or something to add some spice to your wardrobe, look no further! We understand that an important factor in picking the perfect tank is the price. With that in mind, we are excited to offer affordable prices and help you obtain the most savings as possible. To help with the bottom line, we also offer additional free shipping on all orders over $69. So, hurry up and beat the heat and pick up your new favorite tank!